Yes, you're seeing the software versions right. 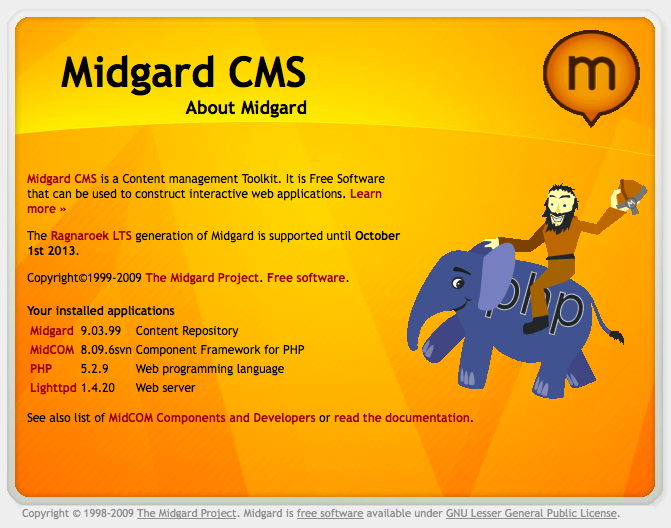 The screenshot is from the "About Midgard" screen of Ragnaland, a hybrid setup of Midgard's MidCOM MVC framework from Midgard1 (MidCOM 8.09) and Midgard2 running in an App Builder instance (Midgard 9.09). 26 June 2008. 1 minute read. 13 May 2005. 1 minute read. 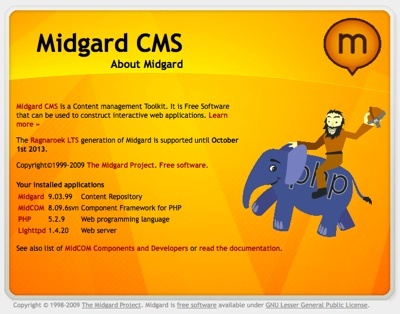 Looking at the recent developments in Midgard CMS space, it looks like the MidCOM, the Midgard Component Framework developed by Torben Nehmer has finally established itself as the default Midgard development framework for PHP.